I’ve used this app for a few years and lived with a lot of annoyances. One longtime issue was the app throwing up an alert about a news development on the lock screen, but when going to the app, it merely linked to the “home” screen. Sometimes merely finding the story mentioned in the alert was difficult (you’d think that it would be the top story given it was the subject of the lock screen alert). Well, they finally fixed that, but TODAY I kept encountering another super annoying issue. While reading one story, the app kept switching to a different story. It did this 4 times. The first time I thought I might have hit a link within the story I was reading. The next few times I was careful not to touch any text that might have been a link. Finally on the 4th try, I just watched the screen without touching. Sure enough, after about 20-30 seconds, the app just loaded the same story AGAIN about LA Police capturing Nipsey Hussle’s killer. In fact it’s something I had already looked at when opening the app. Anyway, I have no tolerance for apps that decide what I want to see when I’m trying to see something else. Its deleted, gone... good riddance! After a few years of dealing with this app I’m finally deleting it. I can’t anymore with how terrible it is. For starters the ads inside are such icky scam clickbait that it makes the news seem entirely unreliable. And I’ve sent messages to the creators about it before but I HATE that I have zero control over the news that gets pushed to my home screen. I should be able to say no to getting endless updates about sports, celebrity news, this person said WHAT? On Twitter??? BS, and for getting every single second play by play about things that don’t matter to me: “EVENT is today!” “We’re counting down to EVENT!” “EVENT is about to start” “EVENT just started” on and on until I want to die. DO NOT DOWNLOAD THIS APP. THE NEWS IS NOT WORTH IT. THE TYPOS AND INCOMPLETE REPORTING ARE NOT WORTH IT. NOTHING THAT IS PROVIDED IS WORTH HOW ANNOYING THIS APP IS. The only other local news app I have does NOT have an ad to start every....single...video report. One can view each news video in the app free and clear. Wonderful. The ads are embedded in less obnoxious fashion. But ABC 7 can't stop at the less obnoxious ads. They have to go all out with a 30 second ad beginning every single video in the app. And the majority of stories have a video. Yes I know I can just read the story under the vid but not everyone wants to do that every time when there is in fact a video. The video ads are so frustrating I'm using the app less and less. GET RID OF THE NEWS VIDEO ADS! 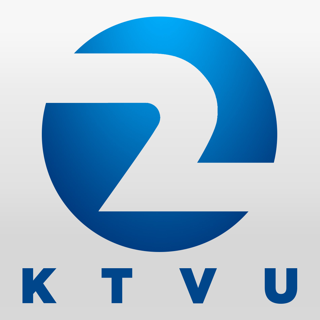 © 2019 ABC Inc., KGO-TV San Francisco, CA. All Rights Reserved.